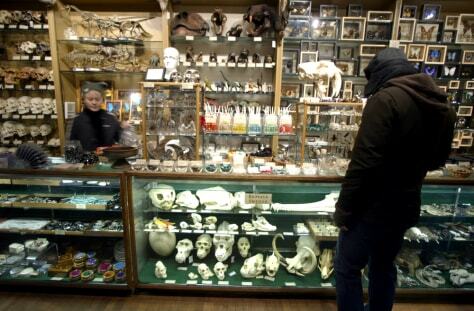 An employee helps a lone customer at the Evolution store in the Soho neighborhood of Manhattan on Wednesday. Evolution is usually packed this time of year with customers lining outside for a chance to shop. As the transit strike enters its second day, businesses are feeling the impact of fewer shoppers in the city.